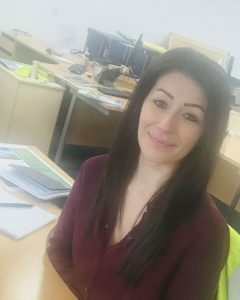 Even before our recent acquisition if the joist manufacturing business of National Hickman, our HR team, led by Anna Kennedy, pictured, were already working on making the transition into the Robinson Manufacturing team as smooth as possible for the staff members who transferred with the business. The legally required TUPE transfer is a complex process and it is vital for the company, and all employees and customers that it is handled properly to ensure a smooth and successful transition. Before the transfer, a lot of time was spent looking at the details and timings to ensure that problems could be identified and resolved as quickly as possible. Communication was then the main focus from a HR perspective. Before the transfer had taken place, the Directors and HR were on site to demonstrate openness from the outset. Leading on from that, there has been regular SLT presence. We have made it clear that we work transparently and will answer all questions and concerns. Contact details have been shared so that SLT can be contacted as required. We understand how important it is to have access to all levels of management during periods of change. We have also been asking lots of questions, to gather information, understand the business and how it works and to gather feedback and views. It is a process of learning on both sides and the more we share, the more successful the integration will be. As well as continuing with the communication channels we already use, we will also be implementing employee forums as another tool to share information and allow employees to input ideas and suggestions. Our company values include being innovative and inspiring to deliver excellence and employee forums are a great platform to encourage this. The transition process will continue over the coming months and we are hoping to receive constructive feedback along the way to shape the company as it continues to grow.